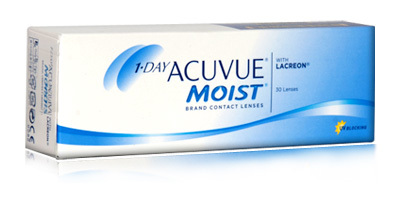 Get the fresh feel with the 1 day Acuvue moist 30 pack lenses. Manufactured by the trusted brand Johnson and Johnson these contact lenses promise you exceptional comfort from the beginning of your day to its end. 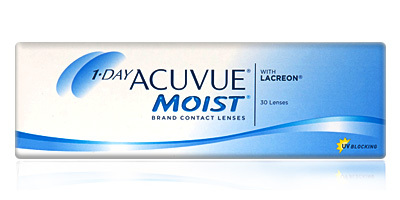 The 1 day Acuvue moist 30 pack come with LACREON technology, this is a moisture rich component, promising all day comfort to your eyes. 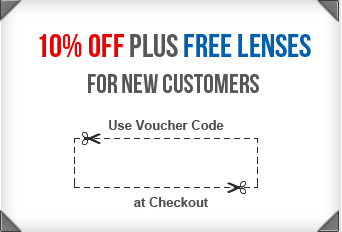 The Acuvue inside-out mark and visibility tint are also found in these lenses to make insertion easier. 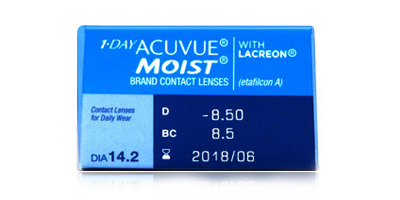 High levels of UV protection are also a feature of this lens; Enjoy relief from sore, dry eyes; freedom from lens deposits and solutions; convenience and comfort when you buy the 1 day Acuvue moist 30 pack contact lenses .